Joined by his pregnant wife, Vaelora, who is also Bhayar's sister, Quaeryt leads an army and a handful of imagers deeper into the hostile lands once held by the tyrannical Rex Kharst, facing stiff-necked High Holders, attacks by land and sea - including airborne fire launched by hostile imagers from the land of Antiago - and a mysterious order of powerful women who seem to recognize the great destiny that awaits Quareyt and Vaelora, as well as the cost of achieving it. Quaeryt is promoted to Commander and he is once again leading his Imager/Troopers into battle. You know the drill: High Holders, iron darts, defensive shields, Antiagon fire, and concealment shields. Sound familiar? If you are thinking about reading book 7 then you know it is. In the end this was a little bit disappointing because the book started out well. At the outset Quaeryt and Vaelora were sent as envoys to the nation to Khel to convince the Pharsi High Council to accept Bhayar's rule. I found Khel and the Pharsi people to be interesting and the High Council presented a different and unique challenge. The Pharsi added another dimension to the tale and the whole "Lost One" story line was getting fleshed out a bit more. Unfortunately, it didn't last. The Pharsi story line was eventually put on hold in an unsatisfying way and the latter half of the book was back to the same pattern of battles with only one difference - the enemy now has some imagers of their own. This did make things slightly more interesting but when those Imagers started imaging iron darts and using the same shields I found myself a bit bored. In prior books we experienced Quaeryt "discovering" and creating these battle techniques for his Imagers and I would have expected foreign Imagers with many more years of battle experience to have slightly different abilities in their portfolio. Alas, not so. So in the end this book is more of the same, for better or worse. The series continues to string me along and once again I find myself hoping for something better in the next book. Since it looks like the Pharsi story line will be picked back up in the book 8, perhaps my patience will pay off. People that enjoy faceless characters, and no plot. 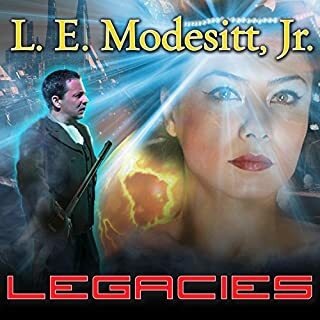 What could L. E. Modesitt, Jr. have done to make this a more enjoyable book for you? More character development, an interesting storyline.. just the basics. I think Mr. Modesitt wrote much of this book simply to fill pages with words. 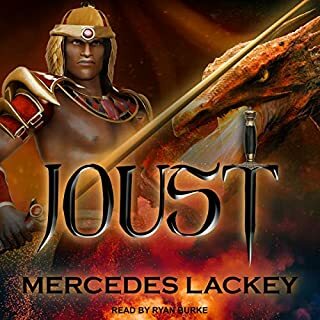 Simply put, the characters were extremely bland, the story unimaginative and predictable, and our protagonist, while a benevolent conquerer, is still a tyrant, and arrogant, self-righteous as well. He has become annoying and unlikable. Antiago is in for a rude awakening. They trifled with the wrong imager. Now they must pay the price for thier foolishness. Would you listen to Antiagon Fire again? Why? 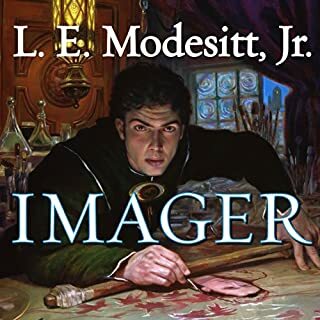 The Imager series should be managed in order, but even out of order, can't help but empathize with the struggles of those with extraordinary abilities/burdens. 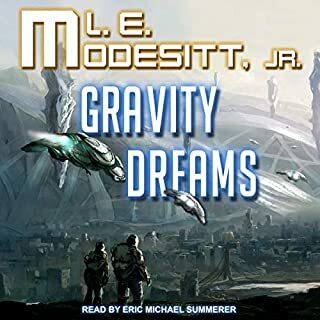 Modesitt remembers to keep the humanity in his scifi. Enjoyed this a lot; but it is not a tear jerker. 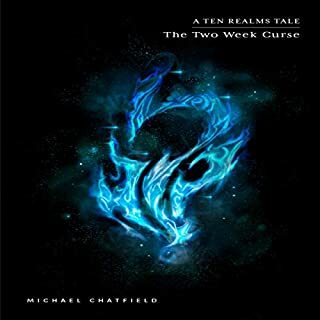 The book, story, and narration are very well done, and the Kindle ebook and Audible Audiobook work fine with Whispersync if you want to switch from one to the other after syncing with the Amazon web site. 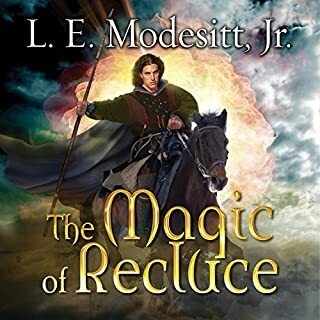 But I wanted to use Immersion reading in the Kindle app like I did with volume 6 of this series, but Amazon doesn't make that available for volume 7 and I am disappointed about that. As a workaround, I run the Audible app in background to play the narration while using the Kindle app in foreground so I can manually flip the pages. Amazon needs to fix this book's immersion reading. (and also make the Kindle app available on Fire TV and Firestick). What other book might you compare Antiagon Fire to and why? It's similar to the previous book in the series (Imager's Battalion) but with a bit more world building to break up the battle campaigns. Dufris has a very clear and easy-to-hear voice and his meter is excellent. As with any audio book a good narrator paces the story, forces the reader to "read" everything. I have some vision problems and cannot read very quickly or for a long time and so I tend to "skim" more than I should, so I enjoy the more relaxed pace of audio books. He gets a bit dramatic at times but this is a book that shouldn't be taken too seriously, anyway. Pretty much, it moves very quickly and is difficult to put down. great story as usual. the narrator is fantastic. bla bla bla bla bla bla bla. 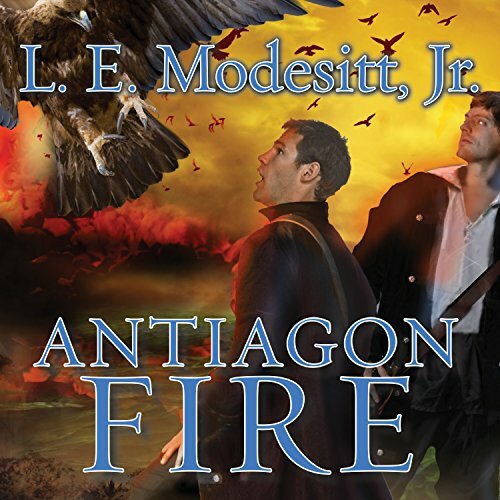 If you could sum up Antiagon Fire in three words, what would they be? Love Modesitt and couldn't wait for this book to come along, and he didn't let me down. I thought this would be the end of the series, but looks to me as if another is on the way. His characters are, as always, real as is the strange word he inhabits. Can't wait until the imager images a bunch of those 'conies' sp? to frighten off an army.